Brittany DeJong is an associate at Wolf Haldenstein. Ms. DeJong has expertise in class actions representing institutional and individual investors who suffered losses due to corporate fraud. She is member of the Investor Practice, Business Practice, Consumer Protection and Social Justice practice groups with an emphasis on securities litigation, derivative litigation antitrust/competition law, unfair and deceptive practices, product defects, unlawful taxation and federal civil rights litigation. Ms. DeJong joined Wolf Haldenstein in 2015. Prior to joining the Firm, Ms. DeJong was an associate at a boutique trial firm in San Francisco where her practice focused on multiparty litigation involving catastrophic property damage. 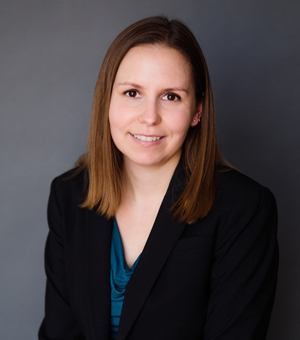 Prior to entering private practice, Ms. DeJong worked as a Research Attorney for the Honorable Peter Busch in the Law & Motion Department at the San Francisco Superior Court. Representing college football players in a federal class action wage and hour case against the NCAA and PAC-12 alleging that the defendants failed to pay minimum wages to the plaintiff and all other PAC-12 football players in violation of California and federal laws. Representing plaintiffs in complex antitrust class actions including pending cases against Apple Inc. where plaintiffs allege that Apple Inc. conspired to monopolize the aftermarket for voice and data services for iPhone voice and data services and that Apple Inc. has monopolized the aftermarket for iPhone applications. Representing plaintiffs challenging unfair taxation of telephone users taxes imposed by the County of Los Angeles and the City of Long Beach. Representing plaintiffs challenging unfair taxation of the gas user tax imposed by the City of Los Angeles. Litigating a federal civil rights case filed on behalf of children who were detained at a county detention facility and improperly subjected to medical evidentiary examinations prior to being placed into the county’s foster care system. Ms. DeJong successfully appealed the wrongful denial of social security disability benefits by the Social Security Administration for a pro bono client who had recently been released from prison.